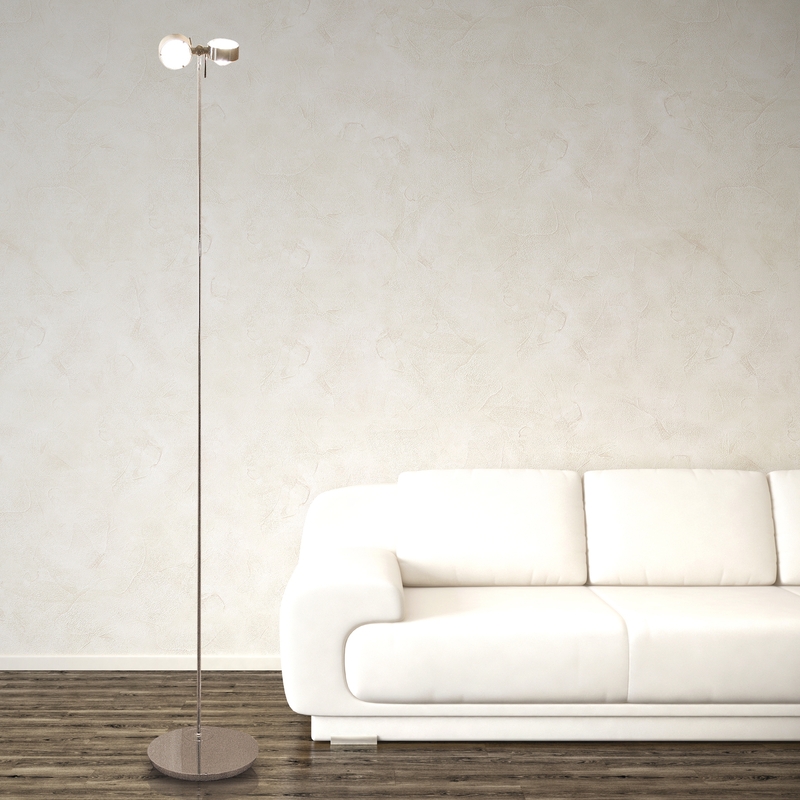 PUK Floor Maxi Twin is an exceptional floor lamp by Top Light. The central feature of the 2-burner floor lamp is the variability of the luminous properties: Filters and lenses of the two screens can be changed individually. In this way, the atmosphere of an entire room can make creative - just by the lighting. Top Light PUK Floor Maxi is also a real eye-catcher. Three different material models guarantee the right look for each context. The images on this page are used for illustration of customization options, the PUK Floor Maxi offers. However, they are by no means exhaustive. Please note that the two screens are standard equipped identically. On request, however, independent outfits are possible. Simply contact us!